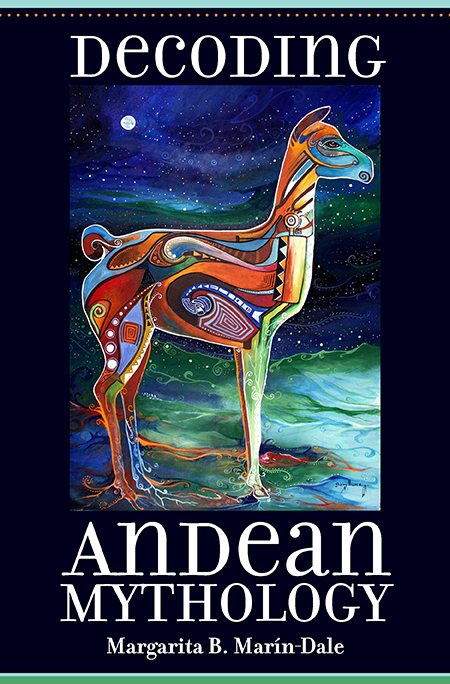 Decoding Andean Mythology is a comprehensive analysis of Native Andean oral tradition spanning five centuries. Based on twenty years of research and a wide range of scholarship, this book departs from the Cuzco-centered focus of many published Andean narratives and includes myths, stories, and folktales from diverse regions and ethnic groups. Among them are full translations of thirty-two ancient and modern Native Andean stories. Colorful illustrations and a comprehensive glossary of Quechua, Aymara, and Spanish loan words supplement the text. In an accessible and engaging discussion suitable for students, the author explores a number of recurring themes and characters in Andean stories. These include shape-shifting animals, the inversion of time-space (pachacuti), anthropomorphic and supernatural beings, and conflicting attitudes toward sexuality. The text also presents a fresh perspective on traditional, non-Western concepts such as huacas (sacred objects and places), suggesting some act as portals or mediating spaces between the natural and supernatural worlds. Of particular significance for current events is a lengthy chapter on social protest, explaining the rise of indigenous movements in the Andes and highlighting the contemporary use of Native Andean folktales as an avenue for social and political dissent. Winner of the 2018 Wayland D. Hand Prize by the American Folklore Society. Margarita B. Marín-Dale taught Spanish and Latin American studies for fifteen years as an adjunct professor at American University in Washington, DC. Born in Bolivia and educated in the U.S., she practiced corporate and international law before returning to her Andean roots to promote human rights and social justice for indigenous peoples.